CaK from August 7th with ARIES-ERF - SolarChat! Sun is shining even in northern Germany now AND seeing was o.k. yesterday, so another rare opportunity to get the ARIES-ERF out and capture some CaK. This is the result of two afternoons trying to understand how to use imppg, i.e. 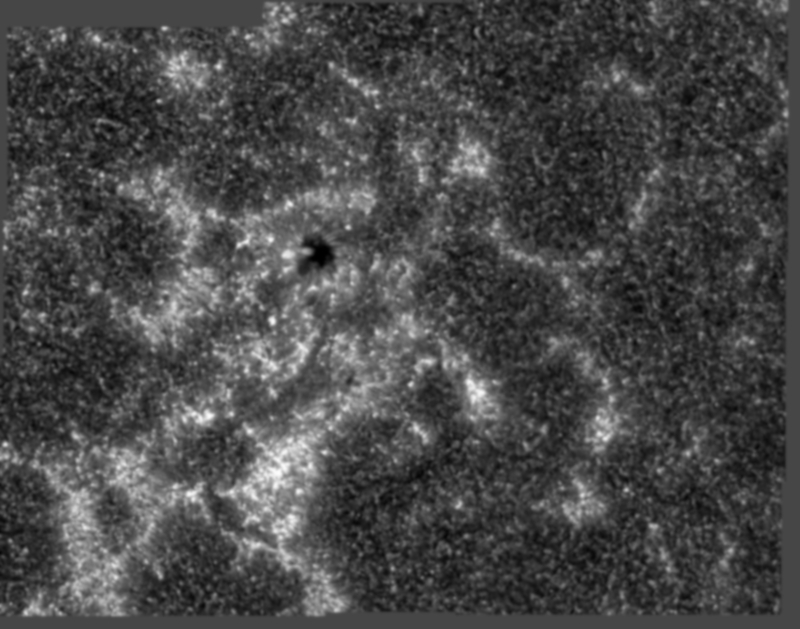 deconvolution, to get the best out ot the data. While I am quite pleased with the detail in the plage, I an unsure how much of the grainy pattern/structure in the darker parts are processing artifacts. Good result for the very beginning. Looks underprocessed. Many depends of what was the seeing and how many frames have you stacked. You can send me some unprocessed stacked images and I will take care of them and see how much deeper you can go with processing to extract more and finer details. Valery, I just try to send you a PM with the unprocessed stack from Autostakkert3, but failed, probably because the file is too large (15MB). Can I send it via email? - It would be great if I could see your processing results and learn! 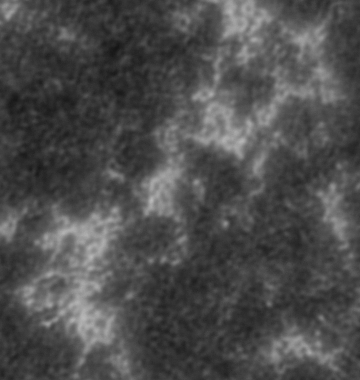 I also just searched a little for high resolution CaK images of comparable resolution/image scale on this forum. I found a few from different people, but not many. While most of them are really beautiful, different people obviously process their CaK images in very different ways and accordingly the results look quite different (i.e. high res CaK pictures, not so much the full disk or quarter disk images) and show quite different structures and textures. Now one may, of course, enjoy the sheer beauty of those pictures - but I also found the differences a little puzzling as I would like to know which structures are, so to speak, depicting real structures of the sun and which are, maybe, artifacts of processing (in particular of my newbie processing...). very interesting and helpful, in particular the images from the Dutch Open Telescope. 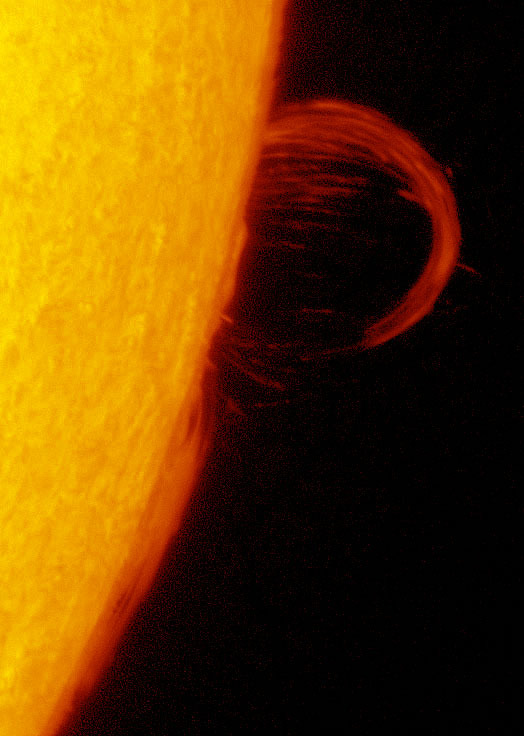 If they may be taken as a reference/standard of an accurate portrayal of the sun's features in CaK (but I am not sure if or how far that makes sense), one might try to scale them down (or apply a convolution to model the limitations of our smaller scopes?) 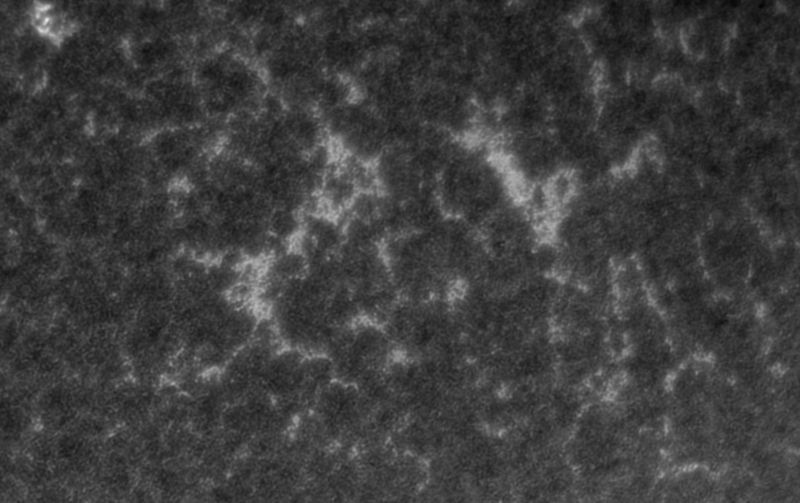 to get an idea of how a CaK image of amateur size scopes could/should look if it shows no processing artifacts. Does that make sense? Nice clean image but looks a bit unprocessed. BTW. Your last image looks like my unprocessed images. You can put the image in the PhotoShop and cut the best ROI and make it smaller in PGR format but still 16 bit. This will be OK for processing. Yes, send me the best frame via e-mail. Here is your last image re-processed. 2. Image is very undersampled (way too small scale). I just sent you a PM with the unprocessed stack of the image in my first post (a tif-file). After that I just saw your post with the reprocessed image, thanks! That's really interesting and it speaks precisely to the point of my question! I have used imppg's deconvolution tool for processing and of course I tried out several settings for sigma and the number of iterations. One of my versions looked similar to yours - not quite as clean, but similar: much less blurred and hazy than the version I posted, but I discarded that because I took the "worm-like" look of the structures (I don't know how to describe it more accurately) to be processing artefacts. 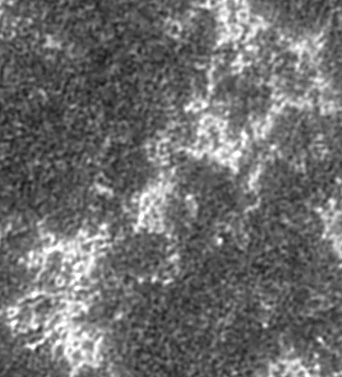 My observation was that when you try out different sigma values for deconvolution there is a kind of trade-off between haziness and "worm-like" look of the resulting picture: When you start with the unprocessed stack and raise the sigma value little by little, you lose more and more of the haziness, but the fine surface structures that show up after raising sigma a few steps then soon begin to take on a worm-like shape: the higher sigma, the more worm-likeness and the thicker the worms, so to speak. Needless to say, the worms begin to show up way before the haziness is completely gone. The pictures from the DOT shown in the old thread mentioned above and similar pictures might be a way to argue one way or another. If a find a little more time I will try to look into this. Thanks, Valery, also for your other hints! I will try out a camera with smaller pixels when I get the next chance for decent weather and seeing and hopefully get higher resolution. I do not quite know what to make of your observation that the filter is somewhat off-band. How do you see this in the picture? To my knowledge the CaK filters (by Lunt as well as Coronado) are a few Angstroms wide, so they should certainly cover the complete CaK line, but I did not check this in any way for my filter. Also the filters are not tilted or heated. Any idea what could get a CaK-filter off-band? I am unable to read the attached file in the PM you sent me. Please, send it to my e-mail. The DOT is, of course, much bigger than our amateur scopes, so it is not realistic to hope for pictures of this resolution and quality. I wanted to try if the DOT picture can serve as a standard for our amateur imaging anyway if scaled down and blurred somewhat to model the influence of our smaller apertures. I think, if the idea to use the scaled down and blurred version of the DOT image as a standard is reasonable, then, looking at these three cut-outs side by side, it is very obvious that Valery and Erik are right: My version is underprocessed: way too soft and blurry. On the other hand Valery's version looks a little bit oversharpened to me, with contrast a little too harsh, allthough his version clearly comes much closer to the "DOT look" than mine. In particular it shows (even if a bit oversharpened) the structures in the dark sections of the image that are more or less washed out in my version. Maybe he can give us some advice how to improve our processing! 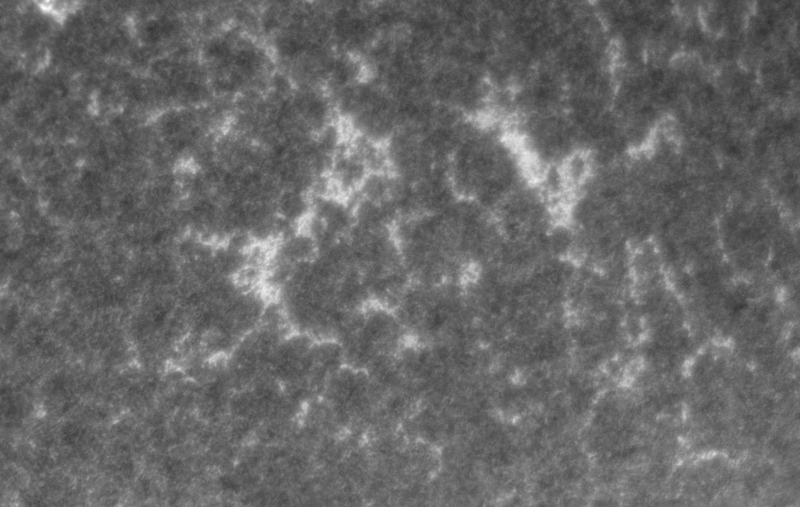 So this is at the moment my best guess of how to process high res CaK-images if the aim is to bring out as much detail of the real solar structures as our amateur scopes can capture and not to bring in too many processing artefacts. 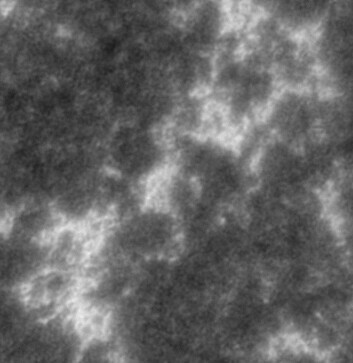 If I have a suggestion, this would be to forget about deconvolution and only apply an unsharp mask. 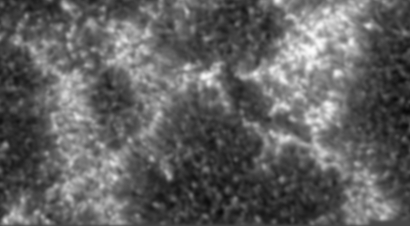 Deconvolution won't replace a lack of resolution in the image. The main structure visible is the reverse granulation. A very informative thread. Thanks for posting this, Frank. 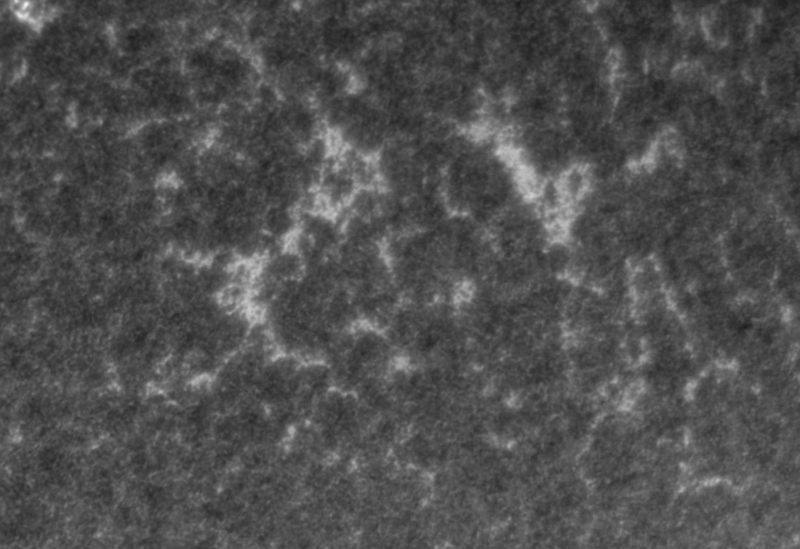 I've also been concerned with overprocessing high resolution CaK with too much deconvolution. The DOT image makes a good reference to help judge this. Unfortunately this does not really seem to improve the image: While the difference to my last version (in the post above) is certainly not great, the version using deconvolution seems to me to bring out the details slightly better (allthough not a lot better). 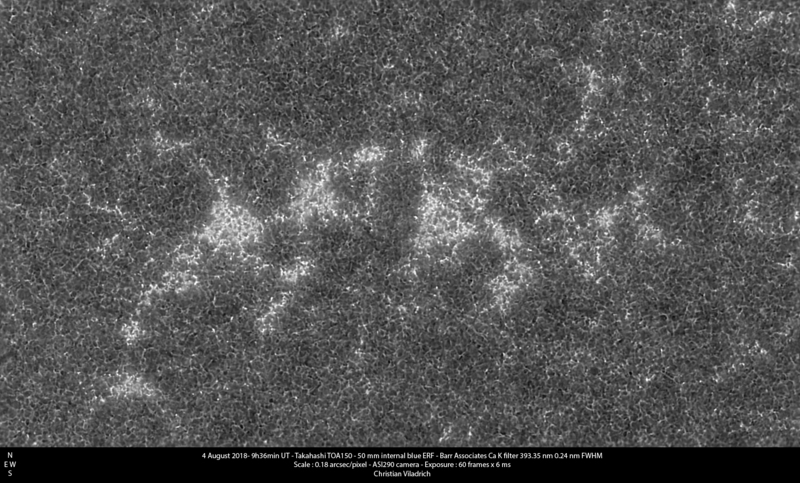 I spent quite a while looking at the impressive array of solar images on your websites (and also on your enviable observatory's website that you linked in another thread). Keeping an open eye for clues to improve my imaging, one thing that struck me was that your stacks are smaller (mostly around 50-60 frames) than mine (mostly around 200 frames) and also smaller than the stacks used for most solar images I have seen on the web. 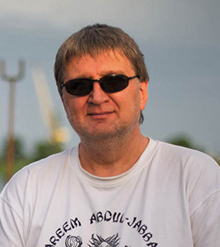 (I also recall Emil Kraaikamp writing somewhere on his website that he prefers stacking a larger number of frames and then, as he puts it, pushing the stack a bit harder.) 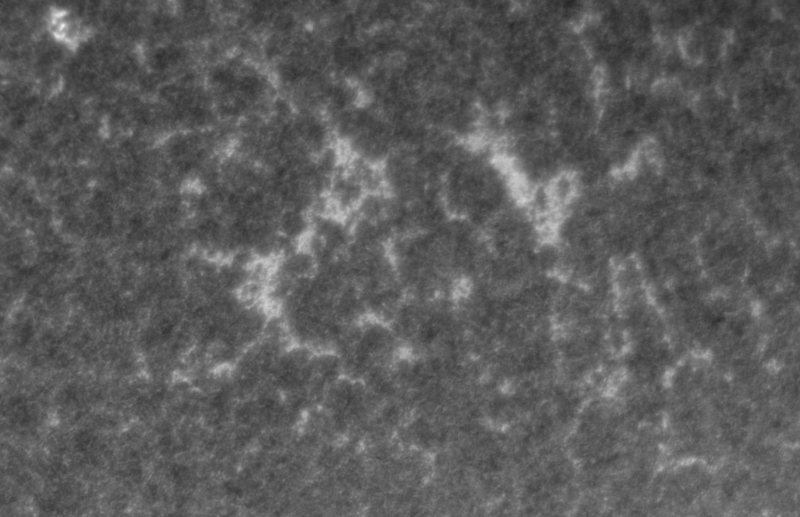 When I try to stack "only" the 50 or so best frames of my solar videos, Autostakkert's output is somewhat sharper than stacking 200 or 300 frames, but very noisy, and so far I have not found a way to remove that noise (while keeping the sharpness), so I usually stack around 200 frames. Now, one hint I gleaned from your images is that your cameras have much less read noise than mine, so, assuming that the noise is at least in part read noise, one way to improve may be to find a camera with lower read noise in order to work with smaller, less noisy stacks. I see a hidden potential in this your image. Send me it via e-mail and I will try to extract it's potentiall to a higher degree. Better a 16 bit and 1000, 1500, 2000 frames stacked. unfortunately I did not keep the video (some GBs) for lack of space on my hard drive! The image I posted was processed from a stack of 200 frames - if you think this is still worth reprocessing I can email you the unprocessed tif-file. Next time I get the chance to capture decent CaK I will definitely try out much larger stacks!